1. Bill payment is a major component of the retail payment transactions. The Committee to study the Feasibility of Implementation of GIRO based Payment Systems (Chairman: Shri G. Padmanabhan, Executive Director, RBI) (2013) had estimated that over 30,800 million bills amounting to Rs.6223 billion are generated each year in the top 20 cities in the country. 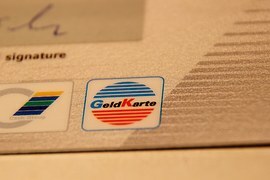 Though various forms of payments are accepted, cash and cheque payments continue to be predominant, particularly at the Billers’ Own Collection Point. 2. While the existing systems are safe and robust, they do not fully address the needs of the consumers/customers to pay a variety of “bills” including utility bills, school/university fee, municipal taxes, etc. due to the lack of interoperability in the bill payment processes as well as the lack of access to various modes of electronic payments by a vast majority of customers. 3. There is, therefore, a need for an integrated bill payment system in the country that offers interoperable and accessible bill payment services to customers through a network of agents, allows multiple payment modes, and provides instant confirmation of payment. The bill payment system should also serve as an efficient, cost effective alternative to the existing systems, thus, setting the standards for bill payments in the country, and enhance consumer confidence and experience. In order to address these issues, the Giro Advisory Group (GAG) (Chairman: Prof. Umesh Bellur, IIT Bombay) (2014) was set-up to define a framework that enables the creation of pan- India touch points for bill payments by customers in the country. 4. Based on the public comments received on the recommendations of the GAG, these draft guidelines are being issued for implementation of the Bharat Bill Payment System (BBPS) in the country. 5. The Bharat Bill Payment System (BBPS) will function as a tiered structure for operating the bill payment system in the country with a single brand image providing convenience of ‘anytime anywhere’ bill payment to customers. 6. The centralised bill payments infrastructure will consist of two types of entities carrying out distinct functions – (i) Entity operating the Bharat Bill Payment System (BBPS) (henceforth called as the BBPS ) which will be the standard setting body, which, inter-alia, will cover standards related to payment, clearing and settlement process and (ii) Bharat Bill Payment Operating Units (BBPOUs), which will be the authorised operational units, working in adherence to the standards set by the BBPS. The tiered structure could be further strengthened through an effective establishment of agent network/s by the BBPOUs. 7. At present, the online commerce space in the country broadly consists of content providers on the one hand and payment aggregators on the other. While the payment side could include both banks and intermediaries who are facilitating aggregation of payment services, the content side includes a varied set of intermediaries ranging from those who are hosting digital market places to those who are facilitating merchants relating to specific verticals. Some of these intermediaries are also in the business of aggregating bill payments. Similarly, some of the content providers enable payment services through their own arrangements while others use the services of specialised payment aggregators. 8. The objective of the BBPS is to implement an integrated bill payment system in the country and offer interoperable and accessible bill payment service to customers through a network of agents, enabling multiple payment modes, and providing instant confirmation of payment. Hence, it has been decided that the existing players in the online commerce segment catering to the requirements of bill payments as well as aggregation of payment services (in relation to bill payments) will be a part of BBPS. 9. In future, the scope of BBPS could be extended to include services facilitating the collection of repetitive payments, such as, school / university fees, municipal taxes/payments etc. and also other e-commerce service content as decided from time to time by the Reserve Bank of India. 10. Therefore, existing entities providing services within the scope of activities indicated above will have to meet the eligibility criteria and seek authorisation as outlined below. 11. The participants in the BBPS will include authorised entities, such as, the entity operating the BBPS itself, the BBPOUs as well as their agents, payment gateways, banks, billers and service providers, and other entities as required under the BBPS. The entity seeking approval for operating the centralised bill payment infrastructure, the BBPS, should be a section 25 company under the Companies Act 1956 (amended to section 8 of the Companies Act 2013). BBPS would need to seek authorisation from the RBI under the Payment and Settlement Systems Act, 2007. The company must have professional senior management team headed by a Chief Executive (CEO) having the required credentials and experience in transaction processing. The company should have experience in handling central infrastructure in payments, clearing and settlement and transaction processing. The BBPS must have a Steering Group in order to encourage participative decision-making and implementation of standards for the bill payments system. As and when a BBPOU is authorised under the PSS Act 2007, representatives from this authorised BBPOU should mandatorily be included in the Steering Group. The company must have domain experience in the field of bill collection/services to the billers. The entity should have the relevant experience in transaction processing, preferably in the bill payments area for a minimum of one year. The entity must have been incorporated in India. The entity must seek authorization under the Payment and Settlement Act, 2007 from the Reserve Bank of India for its operations. 14. Entities falling under the scope of BBPS and not meeting the eligibility criteria as above, but desirous of continuing business in this domain as a BBPOU, will need to seek time of one year from the date of release of final guidelines on BBPS to meet the eligibility criteria. Alternately, they may decide to partner with other eligible and authorized BBPOUs. Existing entities failing to take either of the two actions indicated above will not be allowed to offer aggregation of bill payment services thereafter. 15. The BBPS system, with its two components – the BBPS, the standard setting body and the operational units, the BBPOUs – will function as an authorised payment system under the Payment and Settlement Systems Act, 2007. 16. Accordingly, the entity fulfilling the criteria as set out above for BBPS will seek authorisation under the Payment and Settlement Systems Act, 2007. There will be only one entity authorized as the BBPS under the envisaged tiered structure. Banks falling under the scope of BBPS will be required to take one-time approval of the Reserve Bank of India. Eligible non-bank entities would be permitted to set up Bharat Bill Payment Operating Units (BBPOUs) in India, after obtaining authorization from RBI under the Payment and Settlement Systems (PSS) Act 2007. The general guidelines for any non-bank entity to seek authorisation under the PSS Act for operating a payment system are available athttp://rbidocs.rbi.org.in/rdocs/Publications/PDFs/86707.pdf. Entities (both banks and non-banks) who receive in-principle approval will have to obtain necessary certification from BBPS regarding their adherence to the BBPS standards for processing bill payments, before becoming eligible to receive final authorization / approval. This would be in addition to the usual terms and conditions for final authorization / approval. 18. Settlement process is an integral part of any inter-operable payment system. Under the BBPS, the BBPOUs’ agents may receive payments for various billers, including those who have not been on-boarded by their own BBPOUs. Thus, the nature of transactions in the tiered model of centralised bill payments system can be classified into ON-US (the biller and payment collecting agent belong to same BBPOU) and OFF-US (the biller and the payment collecting agent belong to different BBPOUs) transactions. 19. Based on the type of transaction, the settlement process has to ensure optimum efficiency both in terms of settlement time and fixing responsibility under a unified interoperable scenario for bill payments. Accordingly, under the centralised bill payments system, the BBPOUs will take care of ON-US transactions. For OFF-US transactions, the BBPS will handle all the OFF-US transactions reported by all BBPOUs and arrive at appropriate settlement for each biller across various BBPOUs. The BBPS will arrange to instruct the settlement bank to make pay-outs to respective billers’ banks for credit to billers’ accounts. In other words, the BBPS will act as a standard setting body as well as a clearing and settlement body. 20. For the ON-US transactions (agent who has collected the payment as well as the biller who has to receive the payment is on-boarded by the same BBPOU), the BBPS will have no role in the clearing and settlement of the transactions and the same will be handled by respective BBPOUs, end-to-end, from collection to final payment to the biller account. 21. For the OFF-US transactions (agent who has received the payment from the customer and the biller who has to receive the money belong to different BBPOUs), BBPS will handle the process of clearing and net settlement between the different BBPOUs. The BBPOUs will route (the process may be automated) the transaction data of OFF-US transactions to the BBPS, using which the BBPS will arrive at the net settlement for each BBPOU. Based on the net payment obligation arrived at by BBPS, each BBPOU will pay/receive the funds through the settlement bank arrangement put in place by the BBPS. BBPS will also provide the related transactional data of the settlement to the concerned BBPOU to enable them to make the payment in turn to the concerned billers. 22. For ON-US transactions (agent collecting the payment as well as the biller who has to receive the payment is on-boarded by the same BBPOU), each BBPOU will have to identify a settlement bank where the agents and the billers need to maintain settlement account. The BBPOU will arrive at the net position of each participant (agents and billers) at EOD and submit a settlement file to the settlement bank. 23. The billers will receive the aggregated principal amount collected (or amounts as per the commercial arrangement between the BBPOUs and the biller merchants) while the agents will get the commission/fee (depending upon the arrangement for payment of commission/fee). 24. On settlement, the BBPOU will have to make available the transactional details of the settlement to the billers and the agents under it for MIS, reconciliation and customer service/grievance redressal. 25. In the case of OFF-US transactions, the BBPOU will pay/receive the net settlement amount as arrived at by the BBPS. However, the payment to the billers on-boarded by them (for which the payment has been collected by another BBPOU), will be made by the BBPOU after receiving the transactional data from the BBPS. 26. The objective of the BBPS is also to provide an accessible bill payments system to the large segments of un-banked / under-banked population. All forms of payments will necessarily be a part of the bill payments system. 27. The operational arrangements for setting up of settlement accounts in designated settlement bank, time discipline for settlement, etc. will be established by the BBPS and become a part of the bill payment system standards. 28. There would be many payment modes used by the end-consumers to make the bill payments, each of which would have its own realisation cycle depending upon the nature of the payment mode. Hence, the BBPS will also set standards on time discipline for realisation and collection of payments in each leg i.e., from the agent to the BBPOU, from the BBPOU to the biller in the case of ON-US settlement and further from BBPOU to BBPS and thereafter to the biller (through the concerned BBPOU) in the case of OFF-US settlement. 29. The settlement standards established by the BBPS, with the approval of RBI, have to be adhered to by all the participants. The customer service telephone numbers and website URL. BBPS will put in place a centralized end-to-end complaint management system for all ON-US and OFF-US transactions. Till such time the centralized complaint management system can be put in place, to begin with, the BBPS will facilitate at least the centralized ticketing/lodging of complaints (against any biller) from the end-consumers at any of the BBPS points, even though the final redressal will be handled by the respective billers/BBPOUs. Each complaint will be assigned and identified by a unique complaint reference number within the BBPS. After the complaint is lodged at any location, the BBPS and/or the concerned BBPOU will escalate the complaint to the respective biller for redressal. A suitable tracking system has to be enabled so that the fate of the complaint is known to the customer (on the basis of the unique complaint reference number) at any location. 32. The standardized rules and regulations with unified turnaround time shall be formed and become applicable for all disputes raised in the BBPS system. Appropriate Service level Agreements (SLAs) may be entered into by the system participants to ensure adherence to these standards. 33. In order to facilitate faster implementation and operationalisation of the BBPS, in the interim, the complaints redressal will be handled by respective billers through their operating units as per present arrangements. 34. All participants in the BBPS will be required to submit report on customer complaints in the format and frequency as may be mandated. 35. The system participants in the BBPS will have to adhere to a uniform set of standards and procedures so as to enable the smooth operation of this inter-operable bill payment system. Accordingly, a broad framework of roles and responsibilities of the BBPS and the BBPOUs is outlined below. The Procedural Guidelines of the BBPS will provide in detail the specific roles and responsibilities of various system participants. BBPS will be responsible for setting standards - (i) Business standards, rules and processes for on-boarding the BBPOUs authorized under the PSS Act; (ii) Processes and procedures for various business/technical/operational requirements both at the BBPS and the BBPOUs, including setting up of agent network, (iii) Information exchange standards, including security standards; and (iv) risk mitigation. BBPS will be responsible for setting standards in relation to payment, clearing and settlement of the transactions carried out at various BBPOUs and their agents - both ON-US and OFF-US transactions. BBPS will put in place a dispute resolution mechanism to handle disputes arising between system participants. On-boarding of billers and aggregators as per standards / rules, appointment of agents; carrying out due diligence (as per processes and rules set out for appointment of sub-agents); and ensure confidentiality and privacy standards are in place. Infrastructure development - Application development, including APIs where required, by respective BBPOUs – in adherence to standards set by the BBPS. Transaction handling - Safety and security of transactions, verification of biller information, adherence to transaction flow standards / rules set by the BBPS. Handling customer grievances and disputes as per set procedures and standards for billers / agents / end-customers. Value-added services – provide MIS and Reporting and other services to the billers / aggregators / agents.